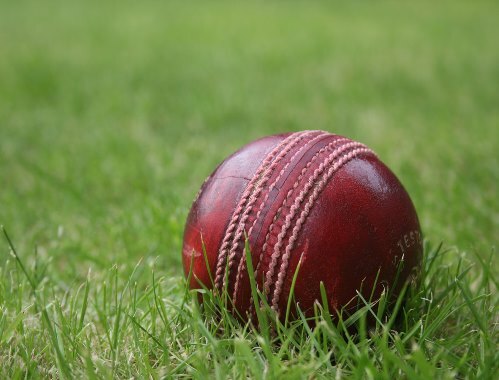 Uckfield Anderida Cricket Club’s first XI now tops Division 4 after sauntering through an encounter with Rotherfield on Saturday. Chris Brady’s excellent bowling found the opposition batsmen as ripe for plucking as the delicious apricots that accompanied tea, writes Tom Grimes. A sober toss of the coin from captain Burns led to a decision to bowl first on what appeared to be a very good wicket, largely on the basis that Uckfield’s bowlers have been in fine fettle since the start of the season. And it proved to be the case again with Reed continuing his fine bowling and getting Rotherfield’s top order in all sorts of trouble, taking 3 early wickets that left Rotherfield on 14 for 3. And unfortunately the middle order were unable to get going with very tight bowling from Chris Brady, whose five for 15 were very well earned. And so Uckfield wrapped matters up in very short order, dismissing Rotherfield for just 44 in an hour and a quarter. Uckfield’s opening batsmen, Burns and Watson, made short work of knocking off these runs without loss, with the highlight an off drive for six from Burns. And so both teams were sitting down to a superb tea by 4pm with the game finished, and the buttery flapjacks and juicy apricots went down very well for the Anderida team.